Aaah Jimmy Choo. I’m yet to splash out on a pair of the £300 + shoes (my only pairs are from their sample sale!) however as with many designer brands, we can all buy into the legacy by wearing the fragrance. The Jimmy Choo Eau De Parfum* is a musky peach citrus fragrance – its very warm and delicate and has a slight floral aspect. I’m also a big fan of woody fragrances (I used to always to wear Flowerbomb) and this is slightly woody and has pretty good lasting power – it started to fade after about 4 hours on my skin. It’s definitely an evening fragrance – one to wear on special occasions with a sparkly dress and some Jimmy Choos of course, but the most fantastic thing right now is that the fragrance comes with a free gift with purchase : A Jimmy Choo evening clutch! This limited edition black glittering clutch bag is available as a gift with purchase of any Jimmy Choo fragrance. I almost love it more than the fragrance itself (but not quite!) it is a timeless evening accessory. The fragrance itself is also discounted at FeelUnique right now, so what are you waiting for! 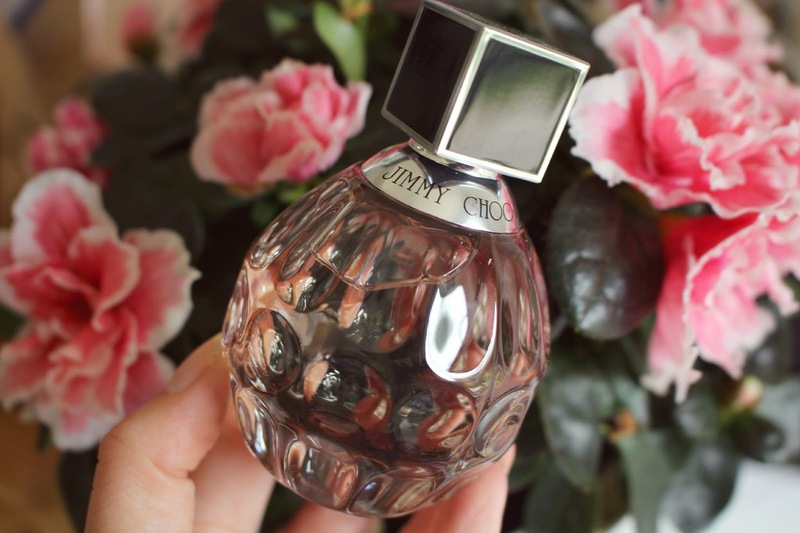 Will you be trying the Jimmy Choo fragrance?